Put the carrots and the beets in the juicer. 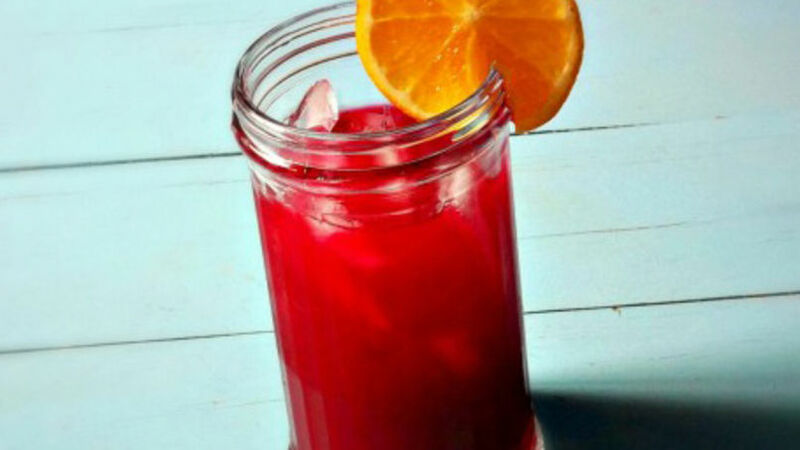 Mix the carrot and beet juice with the orange juice in a 2-liter pitcher. Add water and granulated sugar stirring with a spoon until the sugar is dissolved. Serve with ice and enjoy it! Don’t be scared or spooked by the name of this agua fresca; it’s not a magic potion just for vampires. It’s an agua fresca made with my favorite juice, which is a blend of oranges, carrots and beets. It has a catchy name, Vampiro Agua Fresca and it has an intense purple color. The combination of the flavors is so delicious and refreshing that you can enjoy it with any meal with all your family.